Part 1 of our post was all about installing your new toilet. This post is all about maintaining the pristine look of your brand new throne. First put on clean gloves. Wipe down the toilet with a damp sponge. Then moisten a sponge with hot water and wipe around the tank, lid, seat, base, and the exterior of the bowl. This removes excess dirt and helps disperse the cleaning product. Squirt a liquid (cream) toilet cleaner inside the bowl., starting at the rim and making sure to get the area under the lip of the bowl. Read the manufacturer’s instructions first for specific directions. Many cleaners work best if you allow them to soak on the bowl for a while. Scrub the bowl with a toilet brush. Brush the entire bowl thoroughly, paying special attention to mineral stains that may accumulate along the water level and at the back of the bowl. The more thoroughly you scrub the bowl, the cleaner it will get. Flush the toilet. Flushing rinses the bowl and the brush. Continue to scrub as the water drains from the toilet. Repeat several times to thoroughly rinse the bowl and brush. Spray the rest of the toilet with a disinfectant cleaner. Follow the manufacturer’s directions. Make sure to get both the top and bottom of the seat, and spray the entire exterior of the toilet. Use a cloth or paper towel to work in, and wipe away, the cleaner. Clean the handle thoroughly. Be sure to get the handle with the disinfectant spray. The handle is the primary avenue for the spread of germs, so clean it well. Put on clean gloves and rinse off the items that were on or around the toilet. Replace items that were on or around the toilet. Wipe them dry with a paper towel and put them back in their places. That was easy! Until next Thursday when we give you another toilet how-to! Our Bath and Home Improvement Showroom features toilet and bidet products from brand name manufacturers, Cifial, Danze, Duravit, Hastings, Herbeau, Kohler, Lacava, Porcher, Sterling, Sunrise and Toto. With exceptional service, free shipping and guaranteed price matching, Plumbtile.com can make your home improvement or commercial building experience simpler and far less expensive. From the home renovation project to the commercial construction industry, no order is too small or too large. Since the start of the year we’ve been promoting remodeling every Thursdays, as well as our photo contest on Facebook. By the way, if you haven’t uploaded your bathroom or kitchen remodeling photos yet – go to Plumbtile’s Facebook page and look for the Photo Contest tab. You can also click this link: http://a.pgtb.me/4pnqmH to go straight to the contest! 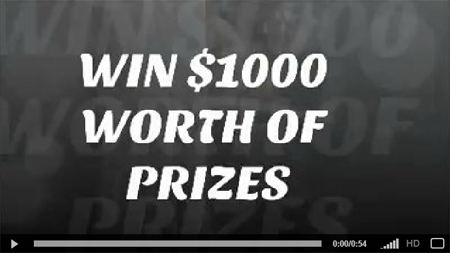 You can read the instructions there on how to win $1000 worth of bath and kitchen products. The response to the Remodeling series has been positive and more and more readers have been asking about how to do specific remodeling stuff. We have decided to relaunch the Remodel Thursday series and focus on specific areas of remodeling. Today’s “how-to” is a back-to-back post about how to (1) install or replace a toilet bowl and its (2) proper maintenance. At Plumbtile, we have several brands that are easy to install- and with the help of our dependable sales consultants, you will be able to choose one that suits your style, budget and needs. The toilet flange (or the mounting base) must be prepared first before starting this project. Depending on your bowl’s manufacturer, you need to align bolts (usually two) in the holes on the sides of the flange. Position these bolts directly across from each other. Follow the manufacturer’s instruction manual that come with your toilet bowl. Modern styles have different ways of mounting the flange. Then arrange the new toilet into place by placing a wax ring or gasket around the edge of the drain hole. Place the toilet on top of the wax ring, placing the bolts in the holes on the side of the toilet. Slowly press down until the toilet is seated flush with the floor. To install the new toilet, slide the washers over the bolts and tighten the nuts until snug. Do not over tighten or you can crack the ceramic. Apply the rubber gasket to the bottom of the tank. Set the bolts in the holes on the tank and set the tank on the back of the toilet bowl. Add washers and nuts to the bolts and tighten. Bolt the new toilet lid to the bowl with the bolts, washers and nuts. Connect the water line from the floor to the tank. Turn on the water and make sure there are no leaks. You can adjust the new toilet hardware by sawing off the extra length of the bolts protruding from the floor using a small hacksaw. Clip the plastic bolt caps into place. You may want to caulk the base of the bowl to create waterproof seal.Stuck? Read the full instructions here. Toilets, bidets, urinals, handles, levers and more. 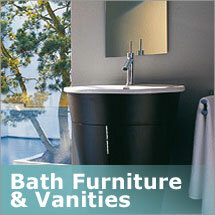 Plumbtile.com carries the fullest array of toilets, bidets and accessories for both home and commerical needs. A bathroom is your own personal private sanctuary. Even the tiniest decor details will paint a picture representing your own unique style and personality. No matter the bathroom size or your budget size, there are many options available so that you can put your own design spin on things. 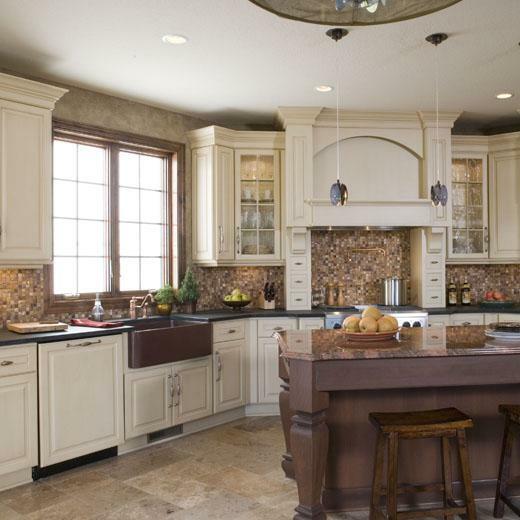 Here are a few tips to make the remodel process less head spinning. You want your ideal bathroom to be a welcoming and relaxing place to unwind. Keep things simple and airy so that the atmosphere is always a soothing one. Color combinations that include a pop of immense color alongside other neutral colors will add a classic dramatic twist without being overwhelmingly bold. Keep in mind if the space you have to utilize is on the small side it may help to repeat your main design throughout. Continuing a floor to wall tile scheme can make the space appear much larger than it actually is. 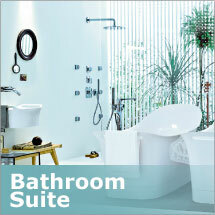 Often times bathroom spaces feel cramped which inhibits the main objective of relaxation. It is always an option to start from scratch by tearing down the current cosmetic layers so that you are only left with the bare bones of the room. You can remove fixtures and cabinetry to make the layout more efficient. Plumbing is more difficult to modify and would likely require the aid of a licensed plumber if such changes were being considered, which can also up your budget. You don’t want your remodeled bathroom’s style to be so different from the rest of your house that it sticks out like a bathing suit in the middle of winter. Incorporate some of the same textures and color palettes that are in other areas of the house. You want your entire house to flow naturally from one room to the other. Furniture In A Bathroom? Why not? Sure, you use this room most of the time for getting clean, but that doesn’t mean the room can only include a toilet, shower and tub. When it comes to decorating a bathroom, there are no strict rules. Use this space to display subtle touches of depth when choosing other nontraditional furnishings. Incorporate staggered shelving to store towels and toiletries. Dressers, chests and armoires can also be great additions for storage or be converted into unique vanities. 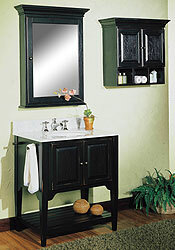 Decorative pictures, frames and mirrors put the finishing touches on a bathroom’s first impression. 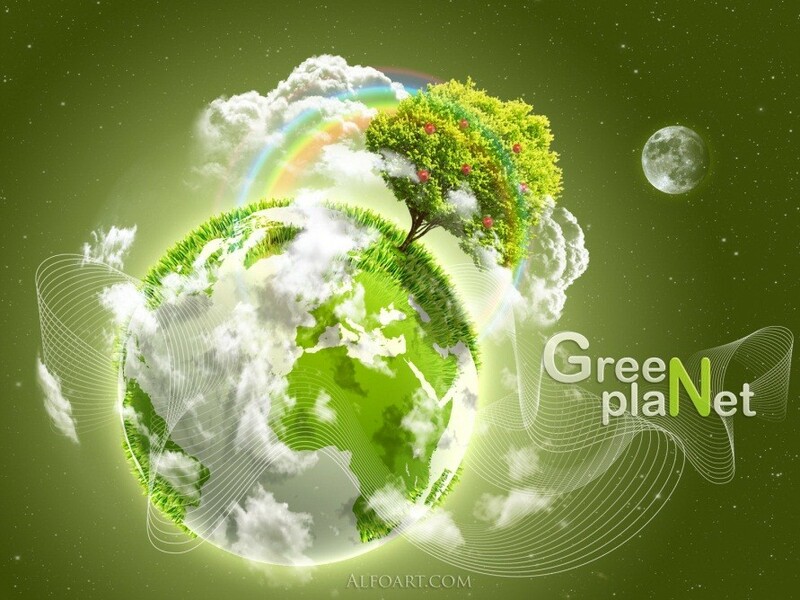 Focus on choosing materials that are going to outlast the latest décor fad. You want your bathroom remodel to be timeless and classic so that you don’t find yourself needing to go through this change process every few years. So many elements have proven long time favorites in the interior design timeline, such as claw-footed tubs, pedestal sinks and subway tiles. These will continue to withstand the test of time no matter what age you or the room grows to be. If you have ever shared a bathroom with someone, you most likely have envisioned your dream bathroom designed for two. Make sure the materials throughout are the same or similar, even if they are slightly different in subtle ways. For example, a ‘Hers’ sink height may need to be lowered, as well as a separate vanity and seating area included. The powder room is the place for pampering and you deserve a little self-indulgence. Additions such as large whirlpool soaking tubs, multiple massaging showerheads, and heated flooring can pack a punch to make you feel like you have a spa inside your home. Plumbtile is your source for luxury yet affordable and lasting products. 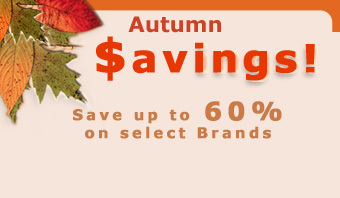 Take the opportunity to call today and get a 25% discount!